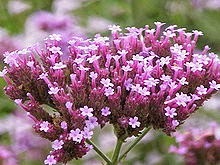 An excellent way of purifying your home or a room filled with bad psychic emanations, is to wash it with verbena water, i.e. 2-3 liters of water in which one has let a whole verbena plant soak over the night. Verbena is one of all magicians or wizards favorite plant probably due to their multiple curative virtues. They are also called "sorcerers herb" or "the all curing herb".